Dung beetles live in many habitats, including desert, farmland, forest, and grasslands. They do not prefer extremely cold or dry weather. They are found on all continents except Antarctica. They eat the dung of herbivores and omnivores, and prefer that produced by the former. Many of them also feed on mushrooms and decaying leaves and fruits. Those that eat dung do not need to eat or drink anything else, because the dung provides all the necessary nutrients. Most dung beetles search for dung using their sensitive sense of smell. After capturing the dung, a dung beetle rolls it, following a straight line despite all obstacles. 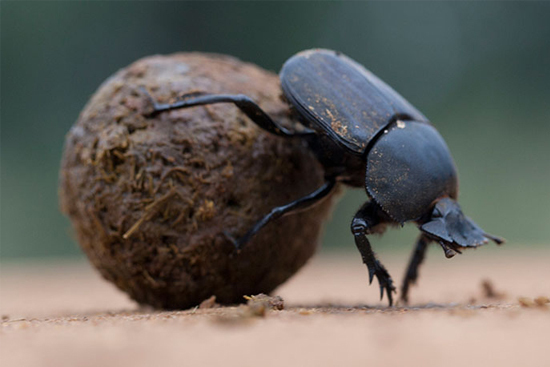 Sometimes, dung beetles try to steal the dung ball from another beetle, so the dung beetles have to move rapidly away from a dung pile once they have rolled their ball to prevent it from being stolen. Dung beetles can roll up to 10 times their weight. Male Onthophagus taurus beetles can pull 1,141 times their own body weight: the equivalent of an average person pulling six double-decker buses full of people. 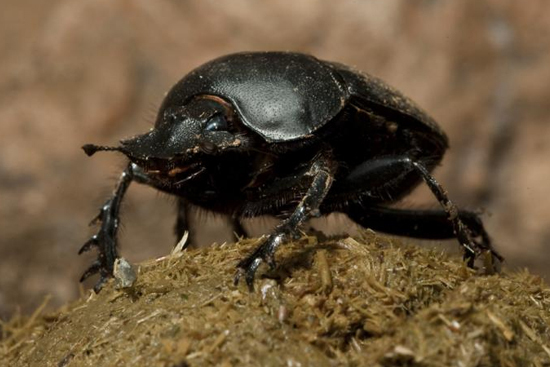 Dung beetles play a remarkable role in agriculture. By burying and consuming dung, they improve nutrient recycling and soil structure. They also protect livestock, such as cattle, by removing the dung which, if left, could provide habitat for pests such as flies. Therefore, many countries have introduced the creatures for the benefit of animal husbandry. In developing countries, the beetles are especially important as an adjunct for improving standards of hygiene.